Almost half the population of the world or more have learnt cycling as a kid. Some kids literally are ready to barter their favourite toys in order to get a cycle. 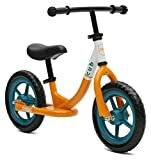 So, these safe toddler bikes are designed for adding to the happiness of your child. These have training wheels that act as the support for your kids. Once they have gained confidence, these wheels are removable. Plus, these bikes feature various attractive designs that make your kid fall in love with it. When some have pedals attached to it, some don’t have any pedal. Well, the plethora of products in the market makes it difficult to pick the best. 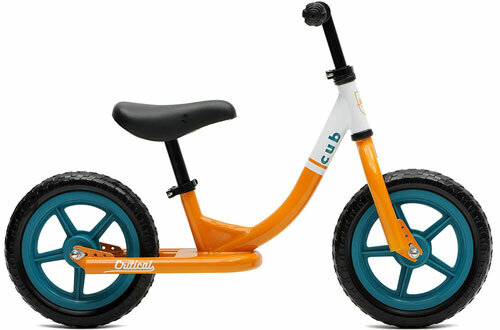 The balance bikes for kids and toddlers buying guide has sorted it for you. It has enlisted high-end brands that are favourite of maximum users. 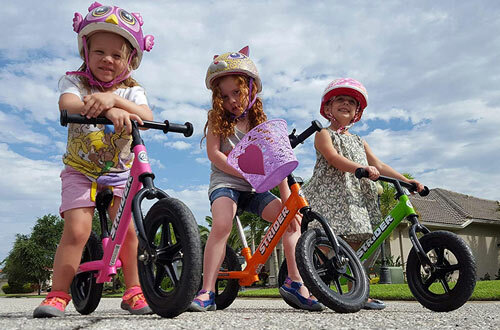 Strider makes the most fun and innovative bikes for your kids and is an industry leader for quite some time. Under the saddle of this bike, you get a quick release clamp which allows you to easily adjust the height. The saddle is adequately padded so that your kid can enjoy a comfortable time even after long hours of use. 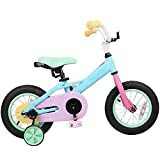 You can adjust its height from 11-inches to 19-inches so your child won’t have any problems in riding this bike. This feature also allows your kid to ride the bike for a few growing years. Thus, you can get the most out of your investment. Furthermore, it also has 12-inch tires made from a high-quality polymer foam EVA. So it has no chances of going flat and you need zero maintenance on the wheels. The bearings are great too with their sealed cartridge design. This prevents any muck or gunk clogging them up and again eliminates the need for maintenance. Certainly, the grips on the handlebars of the balance bike for toddlers are also perfectly sized for your toddler. Best suited for kids who are in the age bracket of 1 and a half years to 5 years. Grip tape near the end of the frame protects your child from sliding off. Handlebar comes with a stylish pad which offers extra safety when your toddler is on that uneven bumpy road. RoyalBaby has always made their prime agenda to make the safest bikes and produce several such reliable models each year. 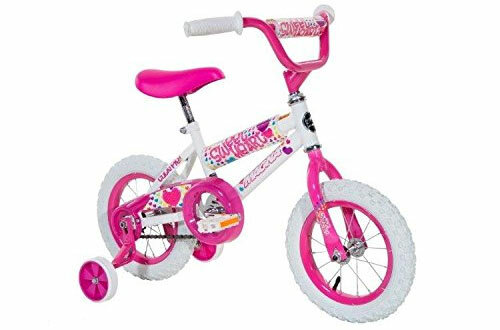 This bike from RoyalBaby is one of those products. It has one of the strongest and widest training wheels for extra support. And it indeed reduces the chance for your kids to fall over. The brake lever is also designed keeping your toddler’s hand size in mind. It has one of the shortest distances between itself and the handlebar. Hence, your kid can easily apply the brakes when needed. In fact, the toddler bike tires are wide at 2.4-inches and make the ride a lot more stable and easy. The materials used to make this bike also reach the highest composition requirements for your child’s safety. It also comes with a few accessories that will come in handy when your child is riding the bike. The water bottle will keep your toddler hydrated and the cage basket allows them to carry whatever they need. Most assembled at around 95 percent, so you need to do very little work when it ships to your door. 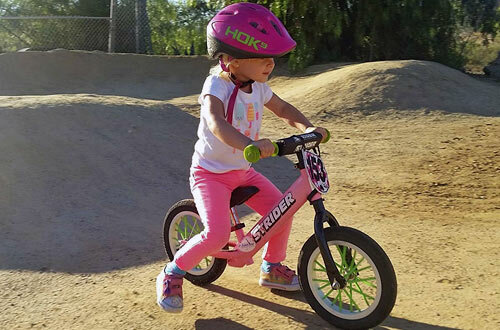 Training wheels are made from heavy-duty materials and have negligible chances of being bent. Comes with a quick release seat post that allows you to adjust the height between 12, 14 and 16-inches. This Joystar is single speed and doesn’t have any complicated gears. Gears are already hard to maintain and teaching that to your two-year-old is a whole different nightmare. So this single speed bike has simple operation and your kid can really learn the basics of biking. The frame has super high tensile strength and can put up with most terrains without incurring any damage. Almost comes 85% assembled, you need to carry out basic assembly for making it functional. Moreover, it has a 1.2mm steel construction so that your kids do not feel the bump when on uneven roads. Training wheels help your kid to balance. 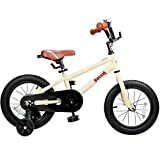 Includes advanced children bike brake, coaster brake. Tires are wide and have extensive patterns for great grip. This bike is styled like the famous BMX and has sporty colour tones to complement your little hero’s personality. 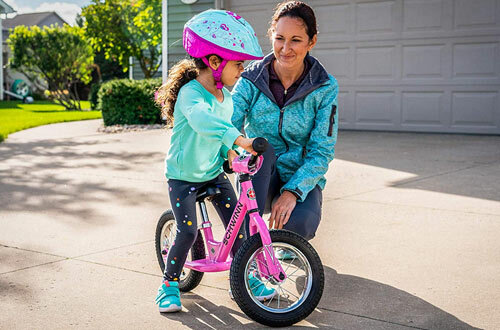 In order to ensure comfort, the toddler bike handlebar comes with a thick cushioned pad at the middle. Thus, it gives your kid the extra space to hold in rough terrain. 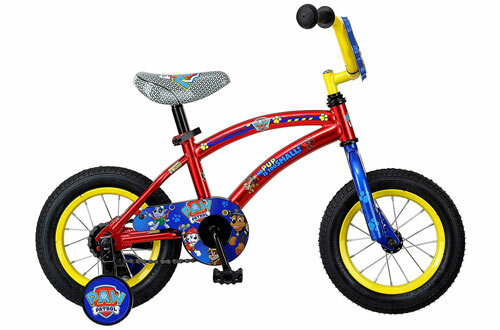 Perfect for kids who are between 3 to 5 years old, it features coaster brakes for a firm hold. However, the best part thing about this bike is probably its lifetime warranty on both the strong frame and fork. This just goes to show the brand’s confidence behind the craftsmanship and materials used. Training wheels are removable and adjusted for adding more stability and balance. Coaster brakes give better control and quicker reaction. The maximum weight it can support is 21 pounds. This bike needs to be pushed to go forward. So your toddler’s feet are always on the ground and hence a safer option. Having a step-thru design of the frame, it features a safe design that prevents any accidents from happening. Apart from enhancing the balance as well as coordination, it trains you well for switching to pedal bike. Furthermore, it requires very little assembly and the air-tires are surely not going to go flat. 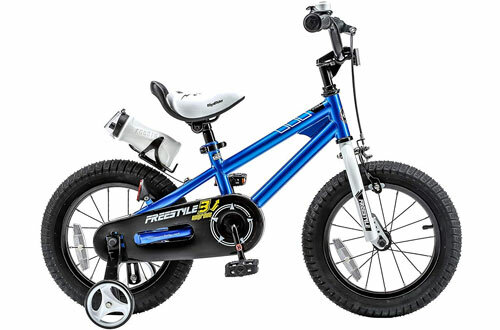 Having adjustable toddler bike seatpost, it is made for children ageing from 20 months to 5 years. You also need to spend a minimum amount of time behind this bike’s assembly and pay zero dollars for the maintenance. Designed to be of use through your child’s growing years. Compliant with CPSC standards for your kid’s safety. 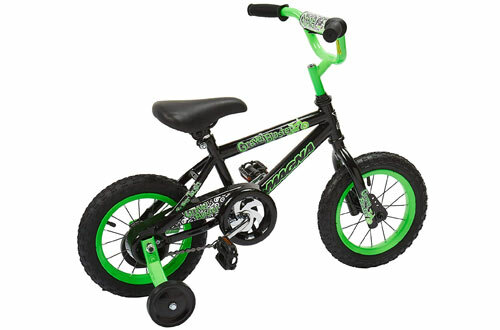 This bike has a steel frame with high-durability and training wheels to assist your toddler in his early biking days. This bike is themed after the famous Nickelodeon kids show, paw patrol. So it has the paw patrol characters on various components of the bike. The seat is even laser-printed. It indeed has a foot brake that allows stopping whenever needed. Nonetheless, it comes with a chain guard that saves from getting random cuts as well as scrapes. As a matter of fact, you can detach the training wheel that further aids in attaining balance. Having wheels of 12-inches, any kid between 4 to 6 years old can ride on it. Quick assembly without much effort is promised. Comes in two different sizes. Schwinn has really made a premium bike that is very durable has high strength and would last you for years. The frame is made from high-quality stainless steel tube. At both sides of it, there is a place for your child to rest his feet. The wheels are aerated and have a strong rim with spokes for added stability. Furthermore, you will find a metallic clamp under the seat. Just open it up and adjust the height of the seat as your child grows up. You can lock it at any desired height. Apart from having quick-release seat collar, this is also a pedal-free ride. However, there aren’t any risks involved in it. The ball bearing headset aids in swift steering. 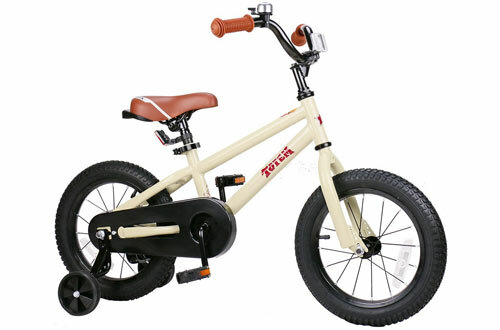 This bike is best for teaching your kid the basics and preparing them for the pedalled bike. Handlebars have an attractive chrome finish. Everything about this bike, be it the looks, ease of operation or safety is great for your little girl. It has a vibrant pink colour which highlights several areas of the bike including the rims, fork, handlebar and more. But the main highlight of this bike is its BMX frame. It is so strong and sturdy that you get a lifetime warranty on it. The fork is equally strong and boasts a lifetime warranty as well. 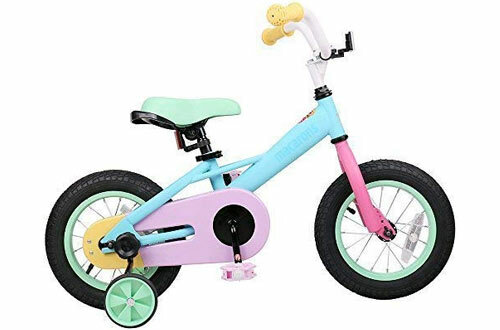 Includes training wheels, a generous deluxe painting on the bike, the reflector on the pedal enhances the visibility totally. With 2 pad seats, it has cute heart-shaped patterns done all over it. Grips on either side of the handlebar have the right size for your child. Protective covering over the metallic chain to keep your little girl out of harm’s way. 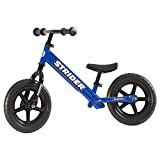 The classic Strider bike is a stripped down version of the best selling sport model from Strider. Due to that it has controlled manufacturing and has an affordable price point for every American household. It has the patented strong steel frame with the built-in footrests. So, your child would have a safe place to rest their feet while having a wonderful ride. Moreover, it has sealed cartridge bearings which reduce maintenance costs and labour to zero since it blocks any muck accumulation. With the plastic all-weather seat, you don’t have to worry if junior forget to park it in the garage. Be it rain, snow or dusty conditions outside, nothing can damage the seat easily. You can also adjust the height of the saddle and change it from 11-inches all the way up to 16-inches. 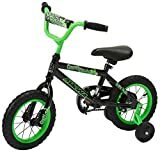 So your kid can ride the bike through his growing years. Best for kids who are over 18 months and less than 3 years old. One of the most affordable bikes in the Strider line-up. It weighs around 3 kgs and is super easy to manoeuvre for your toddler. Joystar makes their bikes with utmost care and precision to service all the needs of your growing child. It has a well-constructed steel frame which boasts high-tensile strength. Thus has no problems whatsoever on bumpy and rough terrain. This is a gearless bike and your kid doesn’t need to go through a separate training for shifters. It is best suited for your child to learn basic biking skills like balancing and braking at the right moment. Moreover, the pedals are well-made and have reflectors on them so that they are even visible at night. This safety feature is really crucial. The reflectors are instantly noticeable by any passing cars that can slow down their speed in a zone for children. There is no risk of your kids hurting themselves even if they can’t balance at the beginning. Finally, this bike comes with two sturdy training wheels. Thus, it adds a lot more stability and helps your child in their learning process. You can choose from different wheel sizes including 12-inches, 14-inches and 16-inches. If your kid is experienced, you can also go for a special model with 18-inch wheels. It includes a kickstand instead of training wheels. Kids aged from 3 years to 10 years can ride this bike. Let your kids have fun in their own ways. These bikes will help them to learn the basics of cycling and balance in a proper way.